Simply deisigned coffee table with a choice of eight exquisite wood combinations. 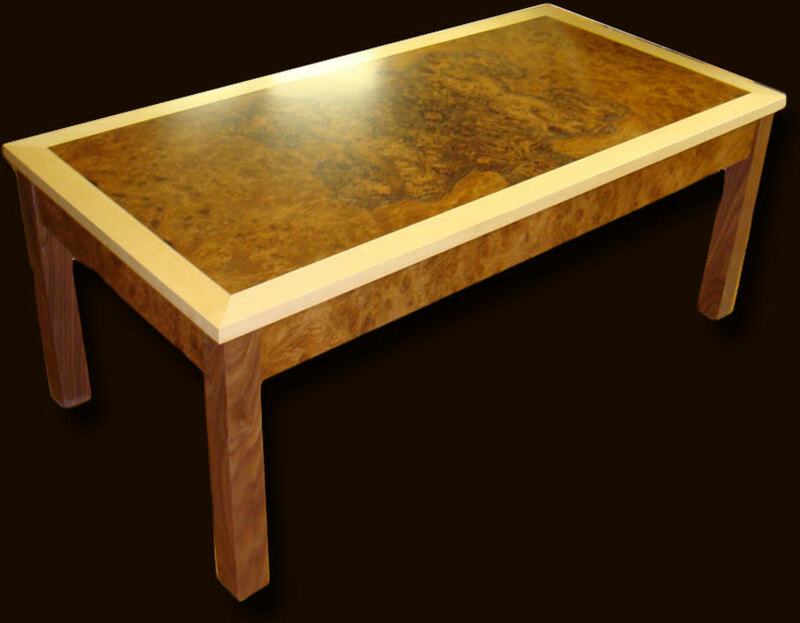 Shown here made using glorious burr walnut with a fiddle maple crossband and solid black walnut legs. Finished with no stains to show off the natural beauty of your chosen wood.